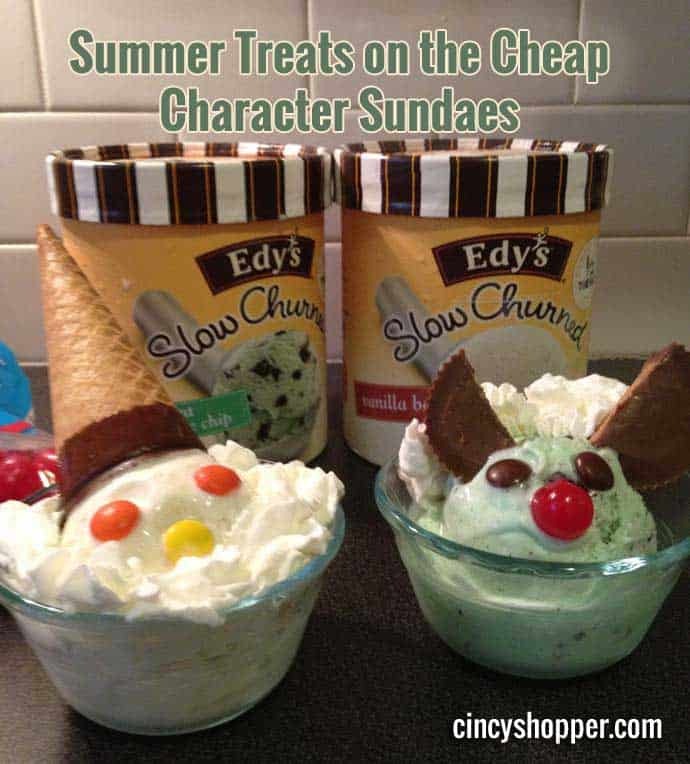 This week we have a household favorite Summer Treats on the Cheap Character Sundaes. These are a hit each and every time we throw them together. 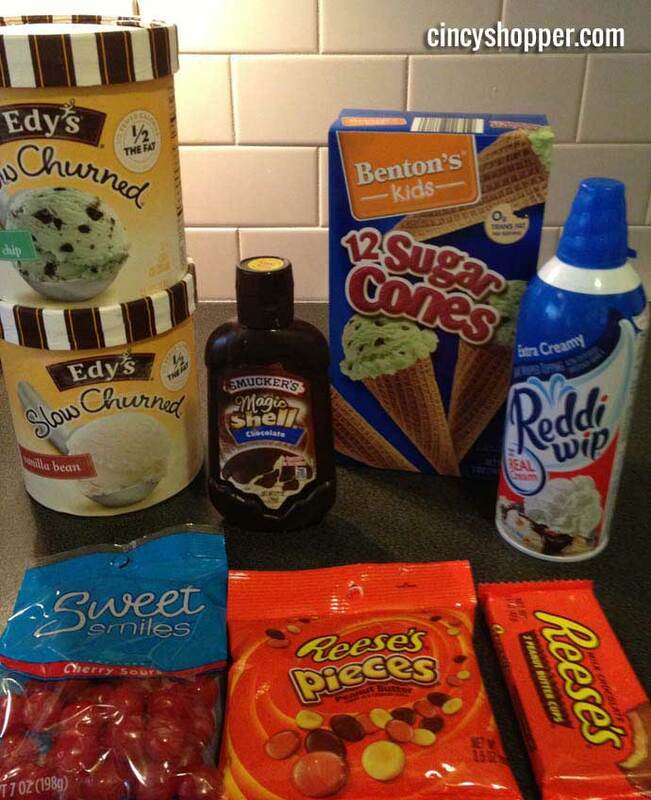 Just grab some of your favorite ice cream (which we have been scoring for so cheap with coupons this past few weeks) some candy, cones, sprinkles, etc. Be sure to not forget the Whipped Cream. Yum! When my kiddos were little, momma spent most of her time shopping and being non-frugal ha ha. So, I would cart all the kids off to the mall to shop all day long. In order to keep them all behaving well we would finish the shopping day off with a trip to Friendly’s Restaurant. They would score a kids meal and have a happy ending that included their choice of one character sundae (Friendly’s Monster Mash Sundae and Cone Head were their favorites). So occasionally, to bring back old times and make mom feel really old as they are all now teenagers, we will make out own Character Sundaes. Making our own sundaes at home is so much cheaper and everyone likes to make their own and come up with some great creations. I know taking our large family to the Ice Cream Stand for sundaes can be a real budget buster. All of the kids want the special character sundaes and such so it starts to really add up. Grabbing Ice Cream and candy with sales and coupons and having fun at home always seems to excite our family as it is fun to do together. Next time you are thinking of making that pricey trip to an ice cream stand think about making some family fun creations at home. Be Creative! My kiddos Love Monsters.